NORWALK, CT – November 16, 2017 –Irving Levin Associates is excited to announce the launch of its latest version of Deal Search Online, a database of health care and seniors housing and care mergers and acquisitions. The company has been delivering financial news, data and business intelligence to the leaders and decision makers in the seniors housing and healthcare M&A markets for nearly 70 years. The new streamlined Deal Search Online provides a more intuitive search capability. Clients can find the most relevant research results for their M&A questions. The expanded search function allows clients to find just what they’re looking for–only faster. Deal Search Online captures all publicly announced healthcare and seniors housing and care acquisitions dating back to 1992. It was the first dedicated healthcare M&A database in the country, and it is also the largest database of its kind, with more than 24,000 transactions in 13 healthcare sectors. These sectors include: Behavioral Health Care, Biotechnology, eHealth, Home Health & Hospice, Hospitals, Laboratories, MRI & Dialysis, Long-Term Care, Managed Care, Medical Devices, Pharmaceuticals, Physician Medical Groups, Rehabilitation and more. Subscription site licenses are available for subscribers requiring unlimited access, 24 hours a day, 7 days a week to the latest information on seniors housing and healthcare deals. The database contains price, revenue, target, acquirer, price per bed and per unit, income multiples when available and much more. Additionally, deals can be purchased in multiples of 10, 50 or 100 transactions. Interested parties can visit www.dealsearchonline.com to begin a search or schedule an online demonstration. 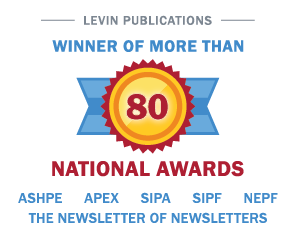 In 2018, Irving Levin Associates, Inc. will celebrate 70 years of delivering exclusive M&A intelligence to their sophisticated audience of seniors housing and healthcare investors. This year marked the third year in a row that the firm was recognized by Inc. 5000 as one of the fastest growing media companies in the country. The company publishes research reports and newsletters, and maintains databases on the healthcare and senior housing M&A markets.